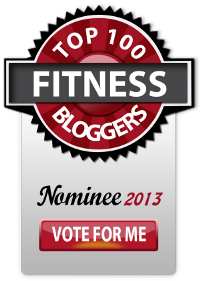 I’ve just been nominated for a very cool honor: Top Health and Fitness Blog of 2013. Right now we’re at #1, and with your support we’ll take this home. Please vote. I’m not sure I’m really a fan of the ‘down voting’ aspect of the list, just because that really leaves some room for negativity, so I hope you’ll focus on the positive–and that’s us taking this home. Please vote and tell your friends! Opportunities like this help us to get the message out there, and your support is very much appreciated. I don’t’ see a vote link. 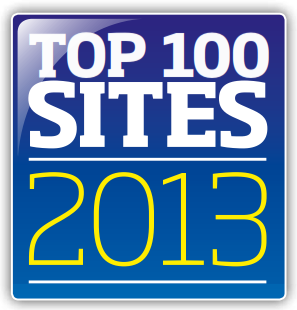 Love your site – just found it. Voted with pleasure. I have lost 130 lbs on low carb (in 14 mnths) – 50 more to go – 80 if my body co-operates. 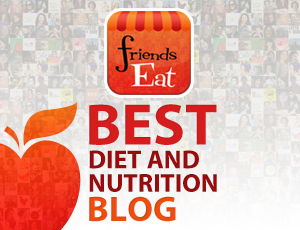 I was following a low carb – low fat plan and found it too restrictive. I can’t eat low-fat or I get so hungry (I really do), but there are so many who need the low-fat aspect, so I try to support everyone as best I can with substitutions and options. I am so thrilled with your losses! Wow! You are so close! I’m the same. Low fat just does not work for me either. I just can’t get full, and stay continuously hungry. it worked when I was younger, but now it makes me gain weight. Low carb is the only diet that works for me now. Thank God for your site and recipes. I am gluten intolerant and low carb, so your recipes rock!! I am gluten-intolerant, too. Wondertwin powahs–activate! I honestly am not just a goofy acolyte. I need to eat this way. Low-carb, gluten-free. It’s not just a good idea. For me, it’s totally the law for my health! At the same time, I appreciate that so many of my friends are vegetarian, vegan, can handle wheat, or can eat higher-carb, lower-fat diets, so I try to help them here, too, with substitutes and ideas. I think it’s so important to find what works for each of us, even though sometimes it’s just not fun. Most of my friends are vegan too. I love to make them vegan meals and treats that are also grain free. So, thanks for putting the substitutions in with the recipes. I can’t have even a tiny amount of gluten or else I get really ill. So, I cook a lot. Going out is risky. I wish we had a Taco Star. I am going to make the Taco Star at home and show you guys how to make your own. It’s pretty freaking legit. Thanks so much, Amy! I so appreciate your support and positivity. Jamie. I’m fairly new to low-carb eating and have really appreciated the work that you put into your website. 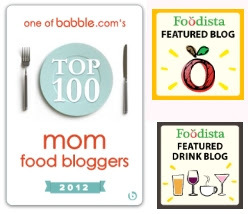 I love cooking and trying new recipes and have enjoyed every recipe that I have tried from your site. I’m super encouraged by your new challenge through Feb 18th, which I have joined. Thank you for sharing with us…I have placed my vote for you and it looks like you’re winning by a landslide! Congratulations! Thank you so much for your support, Paula. I so appreciate it–and your positive words of affirmation, too. And I’m glad you’re joining the challenge with us! Yay! Voted but can we vote more than once? Hi, Nancy! I appreciate you asking. I think it might be one vote per person, per server? Thanks so much for your support, Debi!